If you’re looking for some indoor holiday color this season, your choices go beyond the standard poinsettia and Christmas cactus. You can also grow flower bulbs. Yes, flower bulbs. Most flower bulbs need a period of cold temperatures, known as chilling, before they will sprout. Amaryllis is a notable exception because it’s a warm-weather native. You can either buy amaryllis as a bulb (which will bloom 6 to 8 weeks after it is planted) or as a plant (which is already in bloom). Other flower bulbs will bloom indoors in winter, too. If you want Christmas blooms, you have to start your prechilling in August or September. Or buy bulbs labeled “prechilled,” which will sprout as soon as you plant them. Even if you have to start your chill period later than expected, you’ll still have indoor color to look forward to AFTER the holidays. And that’s not so bad either when the long gray days of winter descend upon us. Chilling flower bulbs and then planting them so they bloom indoors in winter is called “forcing.” You’re forcing them to bloom before their time. 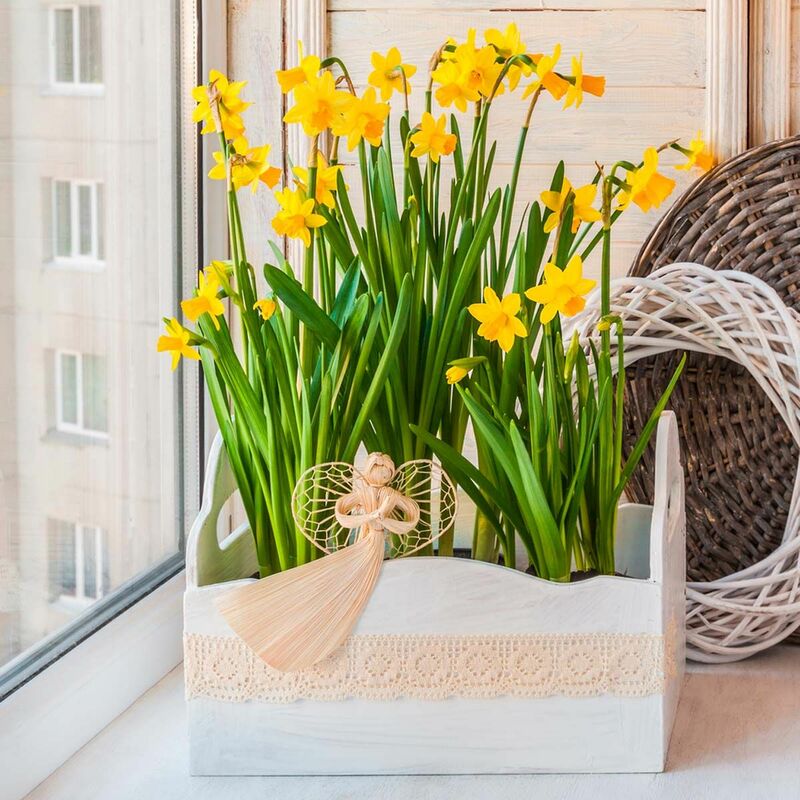 This is commonly done with spring-blooming flower bulbs such as tulips, daffodils and hyacinths. There are two ways to chill the flower bulbs. You can either store them in paper or mesh bags in the refrigerator crisper for a set period of time (generally 14 to 20 weeks, depending on species) or, if you live where winters are cold, place them in pots with potting mix, then set the pots in an unheated garage. The refrigerator method has the advantage of not being dependent on weather. When it’s time to plant, fill a container with two-thirds soilless potting mix and one-third sand—rather than topsoil, which is too heavy and can cause bulbs to rot, or compost, which can harbor pesky soil gnats. Make sure the container has drainage holes. 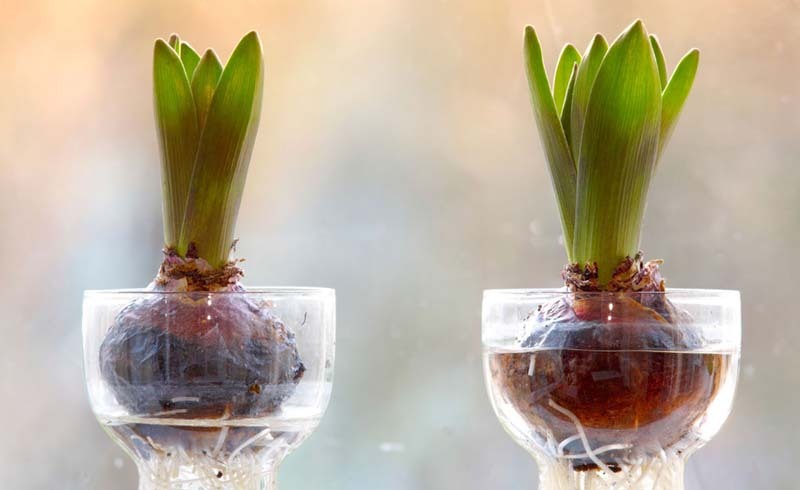 Plant the bulbs close to each other or even touching, cover with the potting mix and feed with half-strength liquid fertilizer once flower bulbs sprout.